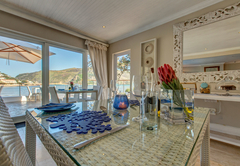 Amanzi Island Lodge is a 4 star graded guest house offering Knysna accommodation in 15 guest rooms. 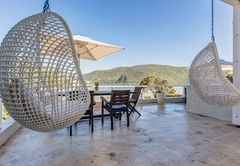 On the shores of the Knysna Lagoon you'll find Amanzi Island Lodge, a tranquil beach house on Leisure Isle, with spectacular views of the Knysna Heads and Featherbed Nature Reserve. 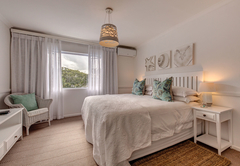 Spacious bedrooms open out onto a balcony either overlooking the lagoon or our private garden. 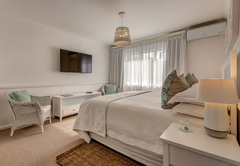 Our sunny and spacious rooms are air-conditioned and equipped with satellite TV. 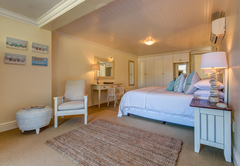 The bathrooms have under floor heating and complimentary Charlotte Rhys luxury bath products. English breakfast is included in the room rate. 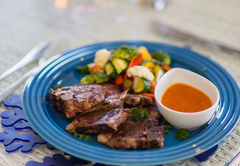 The breakfast buffet consists of fresh fruit salad, breads, cheeses and local jams and preserves. Eggs and bacon are made fresh on order for those who need a little extra sustenance for the coming day! 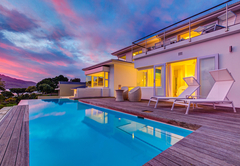 Liaise with Amanzi staff regarding our shuttle for airport transfers. 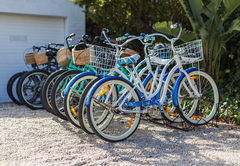 Free shuttle to the coffee shop, restaurant and Bollard beach on Leisure Isle. 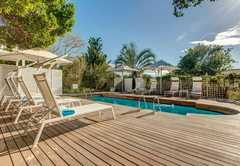 For a relaxing day at the lodge you can enjoy a dip in our private swimming pool in the garden, where you’ll be visited by the local birds. 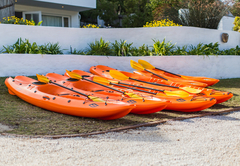 Bicycles and kayaks are available for guests to head out and explore the area! 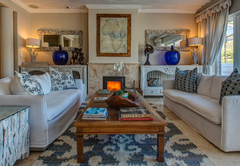 Amanzi has a wide selection of books and boardgames for you to enjoy, so sit back in our comfortable guest lounge and page through the coffee table books. 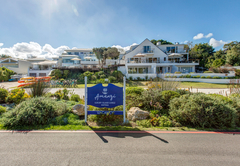 Aside from the beautiful lagoon and exquisite scenery that you’ll take in around Knysna’s bustling town, there are numerous wonderful beach, forest and cliff top walks in the Garden Route. 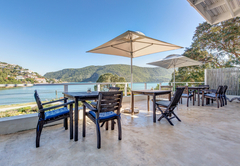 Knysna also offers a host of activities such as golfing, ocean safaris, sailing and sunset cruises. 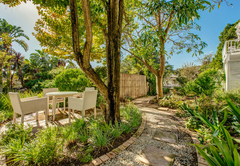 The Garden Route is home to a number of bird and animal sanctuaries; Monkeyland, Birds of Eden, Eagle Encounters, The Knysna Elephant Park and Tenikwa Wild Cat Education Centre are all just down the road. Smoking is not permitted in the rooms and pets are not allowed. 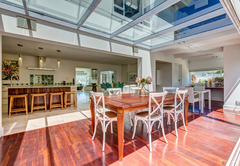 A private, sunny and spacious room with folding doors that open out onto a balcony. 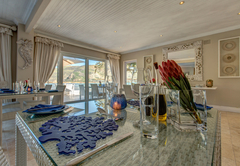 Views are over the garden and roof tops towards the hills to the North of Knysna. 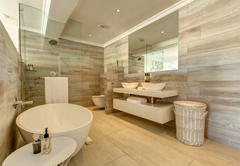 En-suite bath, shower and double basins. 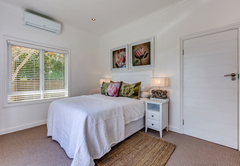 King or Twin beds + optional extra bed. Air-con. 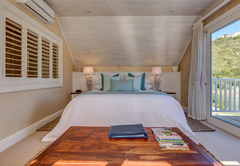 A sunny and spacious upstairs room on the West side of the lodge that opens onto a balcony and looks down the side of the lodge towards the lagoon. 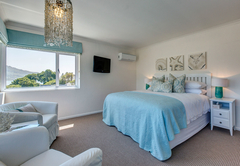 King or Twin beds + optional extra bed for a third person. 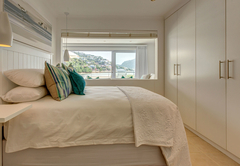 En-suite bath, shower, double basins. Air-con. 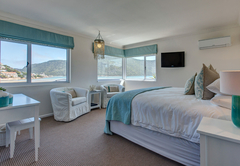 A gorgeous, luxurious, spacious room with wonderful views of the lagoon and the Knysna Heads. 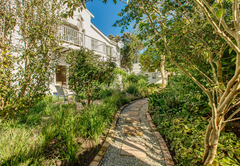 The room opens onto a deck in the front garden. Extra long King bed. 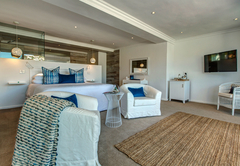 En-suite bath, double shower & double basins. Air-con. 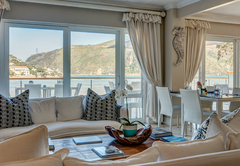 A gorgeous, luxurious, spacious room with wonderful views of the lagoon and the Knysna Heads. 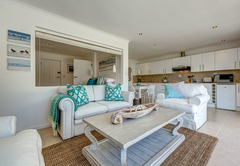 The room opens onto a private balcony. Extra long King bed. 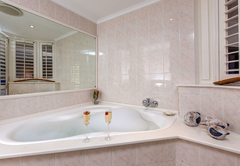 En-suite bath, double shower & double basins. Air-con. 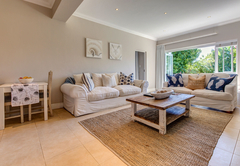 This comfortable room on the ground floor opens out onto a deck in the front garden. 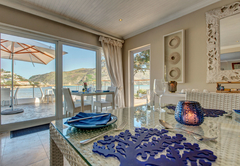 The room looks out onto the lagoon and the Knysna Heads. 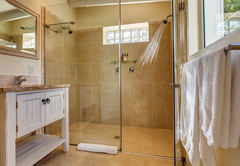 The en-suite bathroom has a shower. 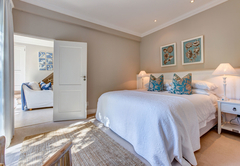 King or twin beds. Air-con. 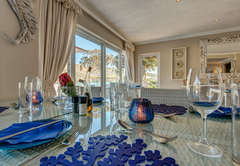 A private, sunny room with sliding doors onto a private garden, offers self-catering facilities. 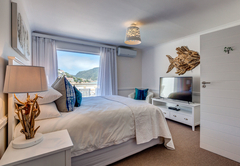 A gorgeous, luxurious, spacious room with wonderful views of the lagoon and the Knysna Heads. 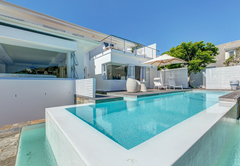 The room opens onto a private balcony and has a private pool on the balcony. Extra long King bed. 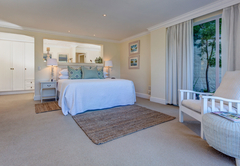 En-suite bath, double shower & double basins. Air-con. 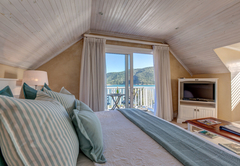 This room has breathtaking views of the Knysna lagoon and the Knysna Heads. Queen size bed. 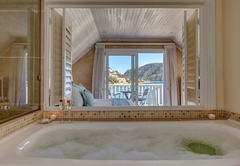 En-suite with shower (no balcony). 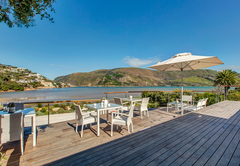 Views are over the garden and the rooftops of Leisure Isle towards the northern hills of Knysna. 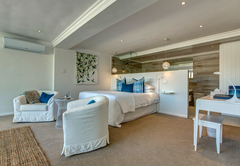 The room has a shower and a king size bed. 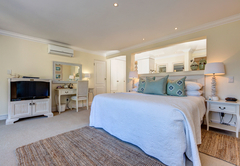 A gorgeous, luxurious, spacious room with wonderful views of the lagoon and the Knysna Heads. 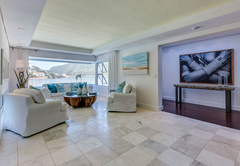 The room opens onto a deck. Extra long King bed. 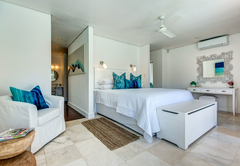 En-suite bath, double shower & double basins. Air-con. 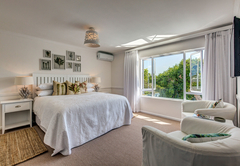 Our Superior rooms are the best rooms with the best views in the house! 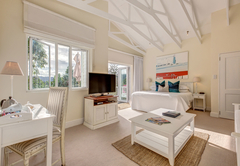 Each spacious room has its own magic and offers guests spectacular views of the lagoon and the Knysna Heads. 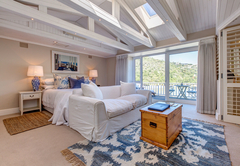 The rooms open out onto a private balcony. 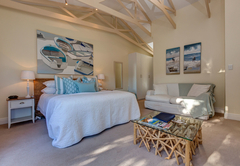 Response timeAmanzi Island Lodge typically responds to requests in 5-10 minutes. Child policyAmanzi Island Lodge welcomes children older than 5 years. 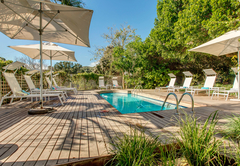 Please take note that we have a swimming pool on the property that is unfenced. The safety of children is the responsibility of their parents or guardians and we ask that parents watch their children at all times.